The featherweight division has a new king. 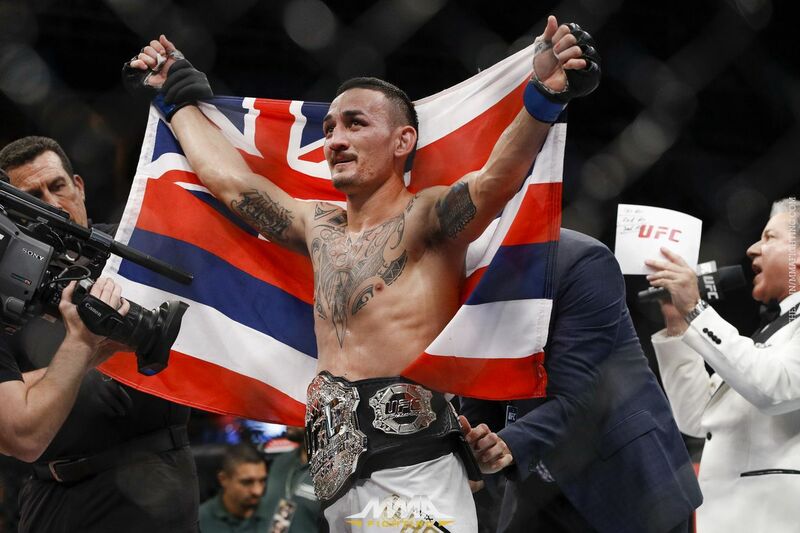 In the performance of a lifetime, Max Holloway defeated Jose Aldo via third-round TKO in the main event of UFC 212, stopping the Brazilian legend with a ruthless assault to claim the title of undisputed UFC featherweight champion. The finish propelled Holloway’s ridiculous win streak to 11 straight, tying him for the fourth-best mark in UFC history at the young age of 25. Check out reaction to Holloway’s violent ascension below, plus the best of the rest from UFC 212. Hell yeah! @BlessedMMA is the new champ! Well deserved!! Young blood is coming to take it!!! When Aldo fought Connor, he just got caught. Max straight up beat Aldo. Props to @BlessedMMA for truly dethroning a king! RIP Jose the young guns are taking over..
Easy money for Claudia. nice RNC! Don’t we all want a New car and a fancy dog?? why are guys so much more ripped when fighting in Brazil?? Hmmm @usantidoping ????????????????? @ymedeiros is a straight savage !!! Beautiful win @RaphaAssuncao over such a tough opponent!!! Yes!!! !